Sea levels are expected to rise significantly by mid-century, threatening airports and major highways around San Francisco Bay. A first-of-its-kind measure on the June ballot is designed to jump-start the Bay Area’s preparation for that. 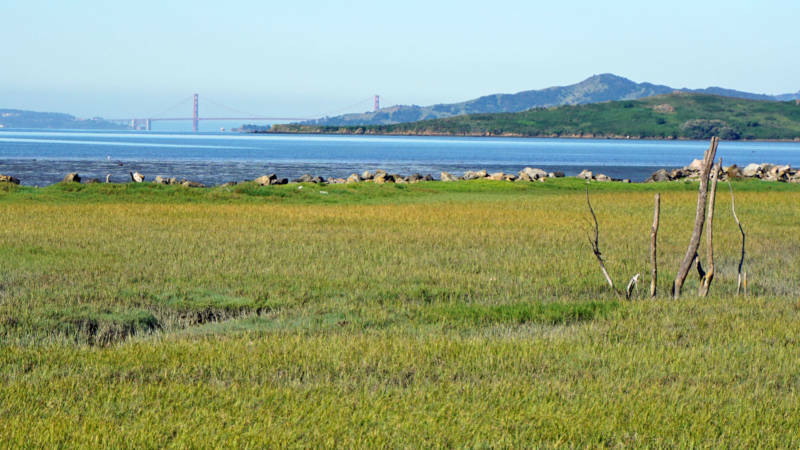 Measure AA would create a new property tax in the nine Bay Area counties to restore tidal marshes and help secure flood protection. 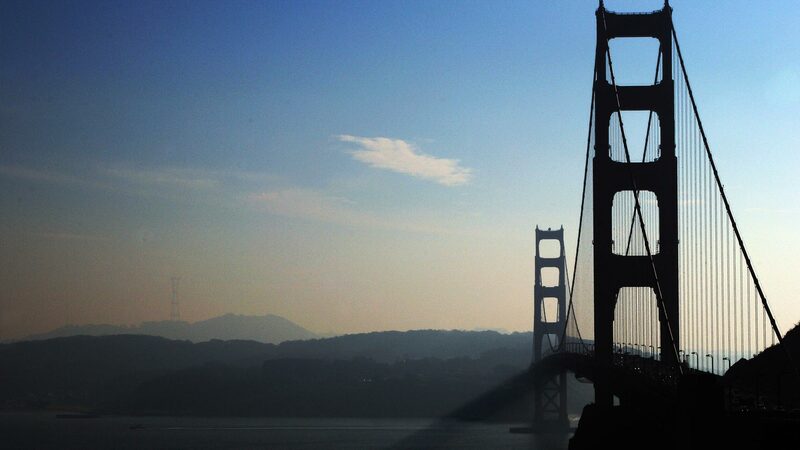 According to one study, $62 billion of property around San Francisco Bay is at risk. “There’s been parts of 101 and other roads that have been underwater in the recent past,” says Mike Mielke of the Silicon Valley Leadership Group, "and that’s only a small taste of what’s to come." The tax would be the same for low-income families who have a small home and for tech companies with a large campus located right on the shoreline, like Google and Facebook. And that’s causing some controversy. Measure AA would implement a $12-a-year parcel tax, raising about half a billion dollars over 20 years. The money would go toward building up the bay’s defense against sea level rise by restoring marshes. “The marshes are a great buffer because the plants in the wetlands slow down the wave action and reduce the flooding,” says David Lewis, executive director of the non-profit Save the Bay. Low-lying plants in tidal marshes, such as those on the Richmond shoreline, act like sponges, Lewis says, absorbing surges from big waves and floods. Around 80 percent of the bay’s marshes have been lost since the Gold Rush, many paved over for development. “They were filled in to create dumps for the cities here in the East Bay and where the population put its garbage for decades,” says Lewis. Around 30,000 acres of restoration projects around the bay are in need of funding. Lewis says Measure AA could help implement about a third of them and draw down federal grants that are awarded only when local funds are being spent as well. Scientists say the sea level could rise up to 55 inches by 2100; new estimates coming out soon could put that number higher. Supporters must convince voters who live nowhere near the shoreline that restoration has benefits for them too. “This is a very tiny tax shared by a lot of people that generates a huge amount of benefit for San Francisco Bay for people and wildlife,” says Lewis. As Coupal sees it, the problem with Measure AA is that everyone would pay the same no matter the size of their property or how much they would benefit. 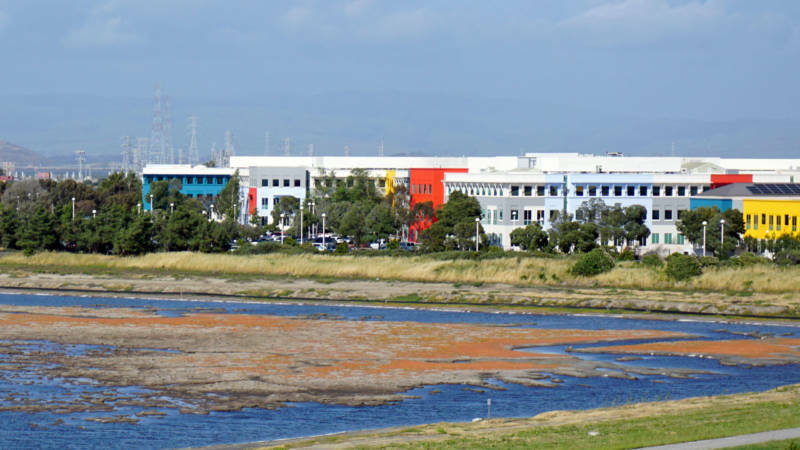 Waterfront views have long been a draw for many companies around the Bay Area, like Facebook. Its Menlo Park campus is surrounded by water on two sides. The scenic location is also becoming a liability for Facebook and half a dozen other tech giants on the shore. Scientists say sea level could rise more than a foot by mid-century and up to five feet by the end of the century, depending on how climate change plays out. Salazar says Facebook is already planning for that. “The building that you’re sitting in right now, we were built above a floodplain,” he says. But Salazar says there’s more to be done both to protect businesses and the roads and freeways in the area. Mike Mielke of the Silicon Valley Leadership Group agrees the measure is focused on airports, roads, and neighborhoods. He says tech companies will take care of protecting themselves. “It’s the public infrastructure that we all share in and we all have a risk associated with if it’s flooded,” he says. Coupal isn’t against bay restoration, but would rather see it paid for through the state’s general fund. If the measure passes, it’ll be a first. Coastal cities like New Orleans have turned to federal grants to protect themselves. But raising money directly from the public for climate change could be a model for other coastal areas. Measure AA will need two-thirds of all the votes cast in the nine counties around the bay to pass. Voters will decide June 7th.